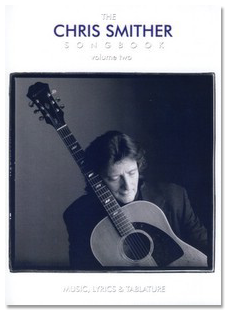 (2002) The Chris Smither Songbook, Volume II features transcriptions of 15 songs selected from all of Chris’s records with no duplicates from Volume I. Includes sheet music, lyrics, and guitar tablature, along with some great photos (including one of a 12 year old Chris with his first guitar!). PLEASE NOTE: THIS IS A BOOK, NOT A CD. NOTE: Due to the extra packaging required to ship them, songbooks are subject to a $2 shipping fee (in addition to base shipping rates).